Etudes: Richter's my favorite here, but he didn't record them all. 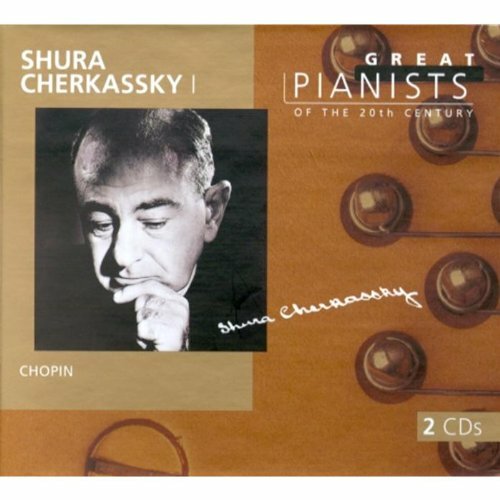 Ashkenazy has more refinement, but still is intense. Perahia is a bit less intense, but very poetic. Which discs would you recommend with Richter's Etudes? Preludes, Book 1, no. 9 "La sérénade interrompue"
I agree, Simon. With that you get the stellar Debussy preludes as well! However, the Praga etudes are spectacular, better than any other recording he's made of them IMO. That's the one. In spots, but the Op.25/11, my goodness...worth the price of the disc alone. Lhevinne, Sokolov, Pollini, Cziffra, Cortot (1934), Ashkenazy (Melodiya), Gavrilov and Van Cliburn. I've just done a rather inconclusive check on them all and found I really like the Richter (who would have been 73 when he recorded these, wow!!! ), the Cziffra (very aggressive), Lhevinne and Sokolov. So you prefer the BBC disc perf to the Praga? I thought that's what we were discussing. I just gave Cziffra a spin. I think Richter begins with more fire, but Cziffra has a more powerful ending. My goodness, he might even be better. I agree, a tie it is. Thank you for this discussion. I ordered the Praga disc as they tend to go OOP. And if the Richter 25/11 is as good as Cziffra's I really look forward to receiving this disc! I saw that afterwards, but originally I thought you were going to check out the playing on the Praga to compare to the level of playing on the BBC. I am noticing how my tastes have evolved compared to when I last answered to a query like this. Sweet! I got these last night! Has anybody here heard this disc? It seems very tempting. 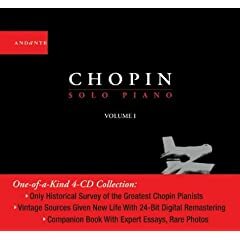 Are the Chopin Ballades here from 1928-1930? 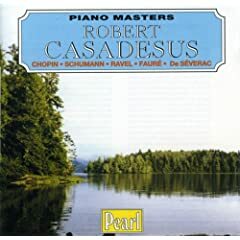 I just listened to Casadesus' studio recording of the Chopin Ballades from 1950, and I liked them a lot!